First and foremost, Brandin Cooks continues to dominate. The wideout recorded some more unbelievable one-handed grabs, and caught a couple TD passes as well from Tom Brady. Nobody's been able to stop him so far. Gronk caught seven passes, including six TDs. The seventh was a tightly contested back-shoulder throw to set up a FG in a late situation. Rounding out the offense, Dion Lewis took the lion's share of first-team reps at running back and should be considered a lock to make the roster. 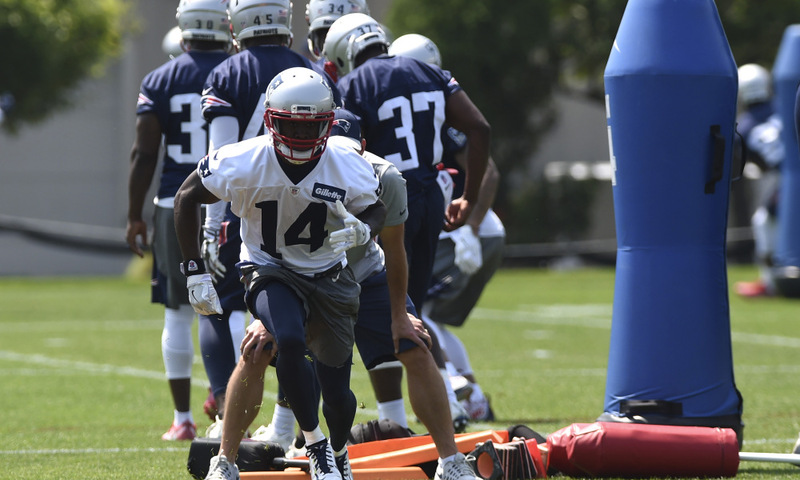 It's still not quite clear who's at the bottom of the pile, but it's safe to assume that Mike Gillislee, Rex Burkhead, Lewis, James White, and fullback James Develin will all make the squad. That leaves Brandon Bolden, DJ Foster, Glenn Gronkowski, and undrafted rookie Leshun Daniels Jr. all on the outside looking in. Bolden will have a leg up to make the roster thanks to his special-teams work, but the team is running out of space fast at skill positions. Defensively, Deatrich Wise Jr. continues to be one of camp's biggest surprises. Mike Dussault of Pats Propaganda reported that he's taken starting reps away from former third-rounder Geneo Grissom, and he could even end up as "an opening-night starter." But oddly enough, Dussault thinks that Kony Ealy, not Grissom, is on the roster bubble. "He’ll need to get going in a hurry. Guys are getting longer looks with the top teams, but Ealy seems like an afterthought right now." It's an interesting development for a guy who the Pats specifically traded for, but there's still plenty of time left for the former Panther to make a mark. Bill Belichick just dropped to do about 10 push-ups when the Patriots third-team "O" failed to get into the end zone on their final snap.